Corporate Financial Executive with experience in takeovers, acquisitions, strategy, capital management and equity capital markets. 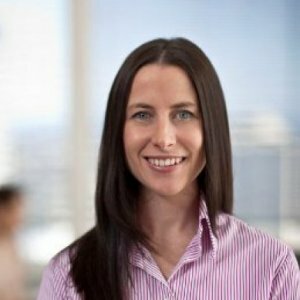 Olivia has advised some of the world’s leading companies on corporate strategy, sustainability and on mergers and acquisitions as well as providing advice on policy for State and Federal governments. In 2014 Olivia was awarded as one of Australia’s 100 most influential women as part of the AFR/Westpac Women of Influence awards. Experienced public speaker called upon to comment and present on a range of topics including diversity, financial markets, leadership, sustainability, technology. Olivia has significant experience in international markets having lived and worked in China, South Korea, North America, the Middle East, Europe, New Zealand and Australia. She has deep experience in Asia and previously worked with Samsung Electronics in Seoul, South Korea. Olivia holds a Masters of Applied Finance and an MA in International Commerce from Korea University and Bachelors degrees in International Business and International Relations. Olivia is a guest lecturer at one of Australia's preeminent universities, University of Sydney, for the Masters programme in International Business Alliances. Olivia contributes to a number of philanthropic initiatives. Olivia is the immediate past Vice President of Women in Banking & Finance, an organisation contributing to the development of women in the banking and finance industry. Olivia is the immediate past Chair of Habitat Humanity’s Habitat Women Committee where she developed Habitat’s ‘Leadership Action’ development programme for women. She was recently invited to speak at TEDx.com about the Leadership in Action initiative I have developed in partnership with Habitat to link corporates with aid programmes in developing countries. See her speech here: http://www.youtube.com/watch?v=OQtkU5sGEg8. Olivia is also the co-founder of the Glass Elevator, an initiative which focuses on building the pipeline of female talent in business and Government, supported by Australia’s largest organisations and most prominent CEOs (www.theglasselevator.com).